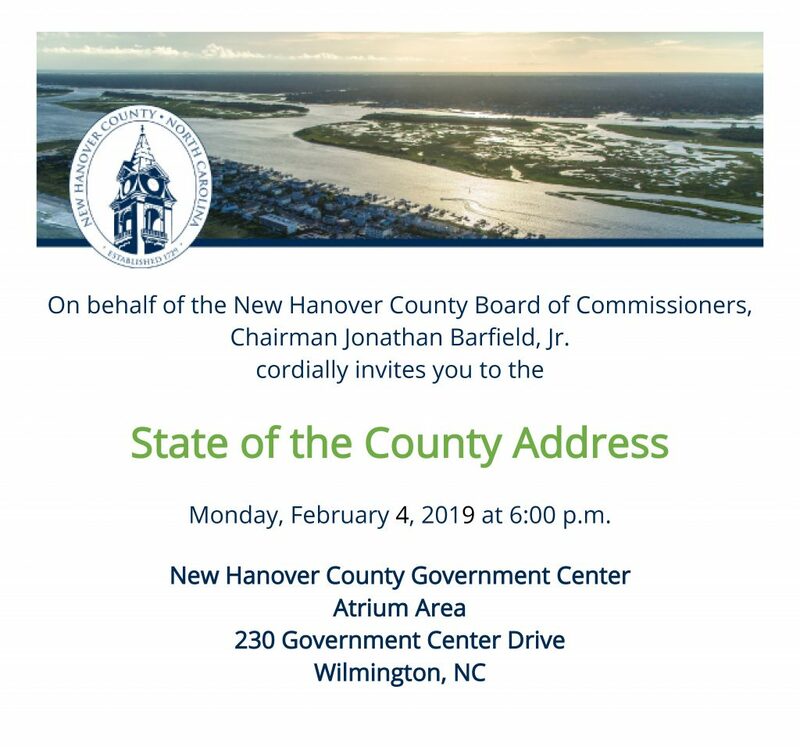 NEW HANOVER COUNTY, NC – Chairman Jonathan Barfield, Jr. and the New Hanover County Board of Commissioners will hold the 2019 State of the County address on Monday, February 4 at 6 p.m. The public is invited to attend, and additional details can be found in the invitation below. The State of the County address will be streamed live on the county’s Facebook page, on NHCTV.com, and on NHCTV’s cable stations: Spectrum channel 13 and Charter channel 5.